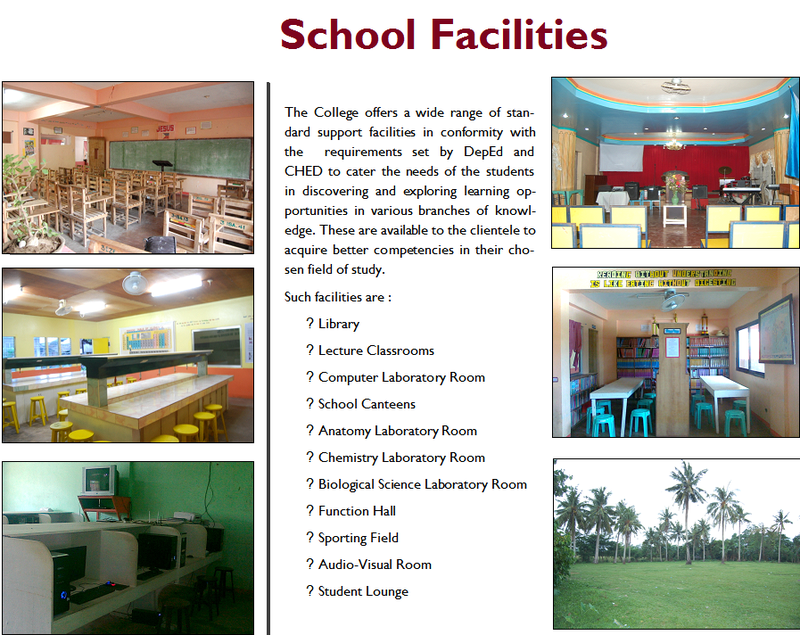 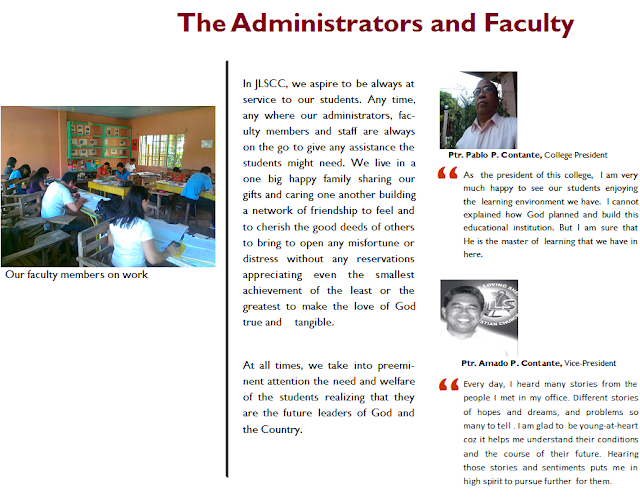 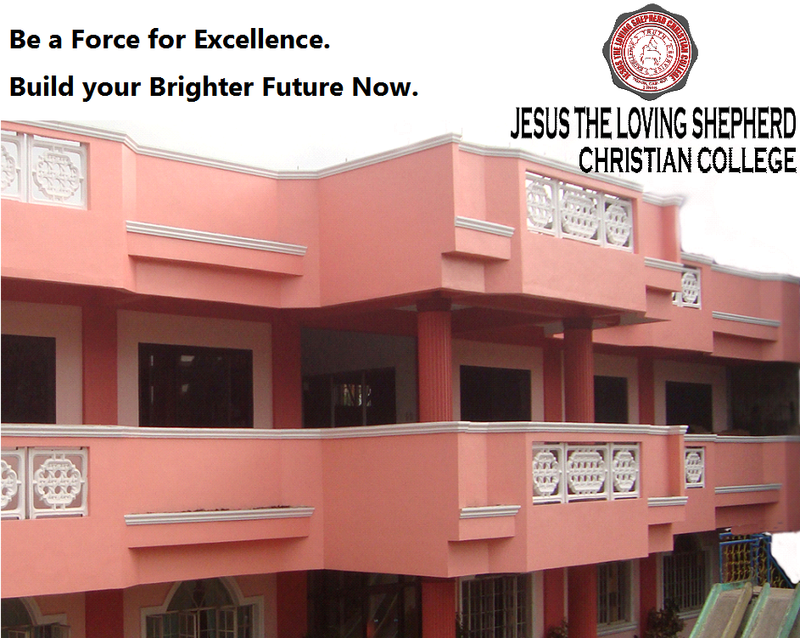 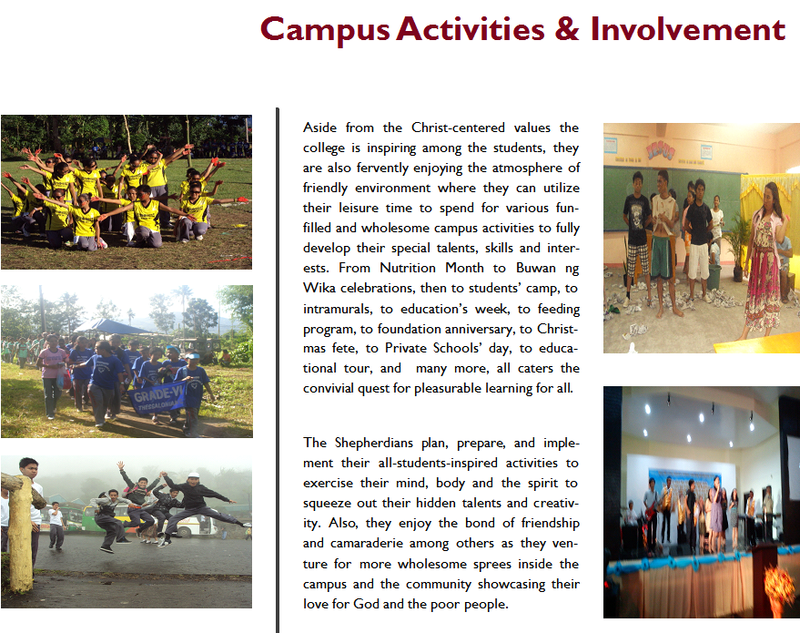 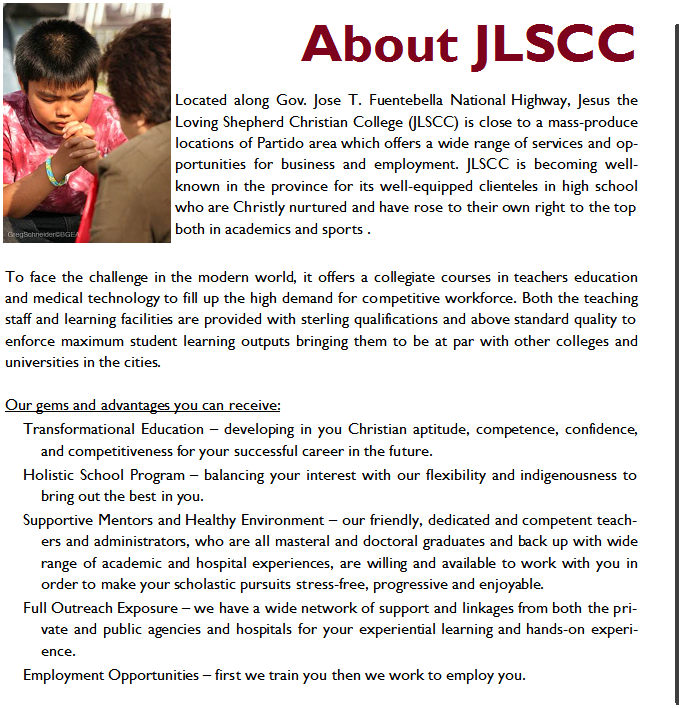 The Jesus the Loving Shepherd Christian College is established to cater to the educational aspirations of the countryside youth adhering to the principle that the best foundation of all learning is the Word of God. 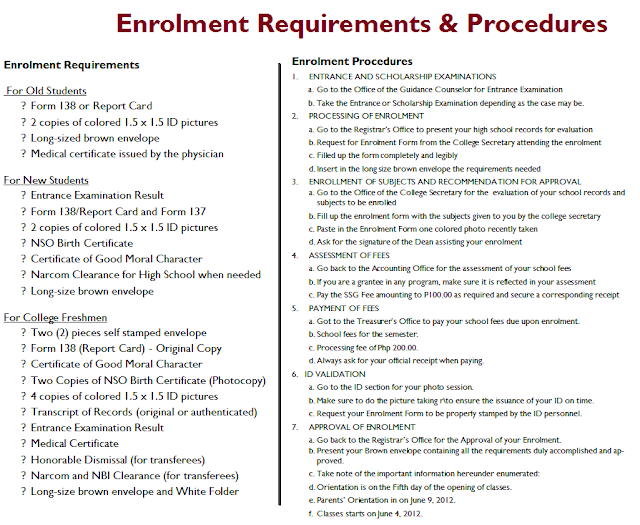 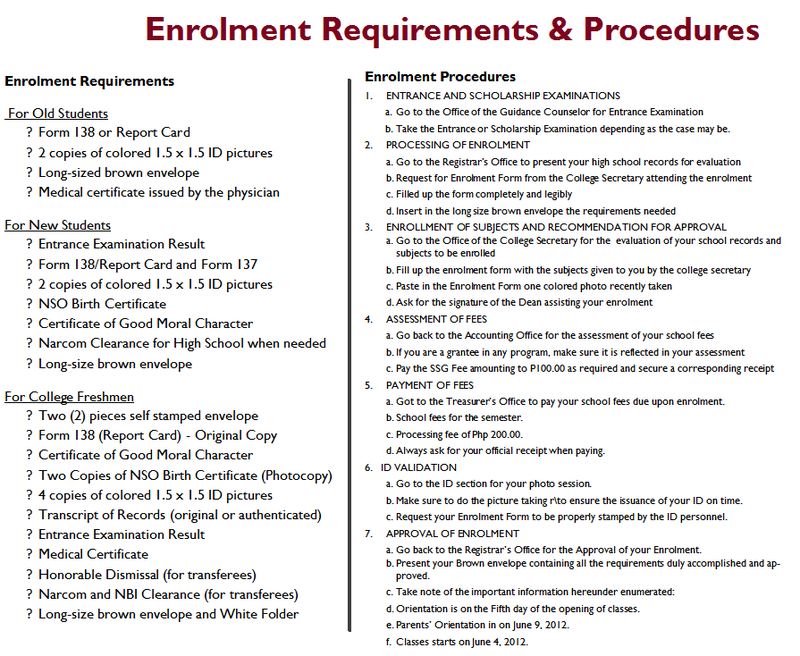 Its is designed to empower its learners with academic and technological competence imbued with strong charismatic leadership and amplified by unwavering love of God and Country building a strong sense of nationalism, service and commitment for life and development toward a more peaceful, progressive and better tomorrow anchored in the pursuit of excellence for the truth in the service of God and humanity. 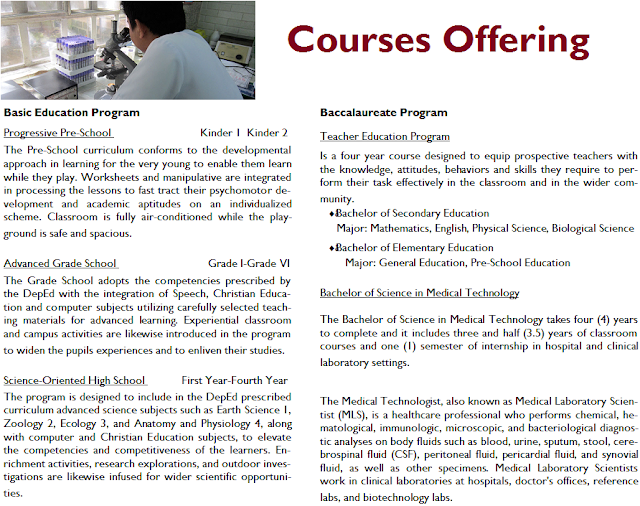 We are committed in providing advanced education to the global productivity for greater proficiency and competitiveness strongly leaned on the Scriptures for their better future and dedicated life, works and service. 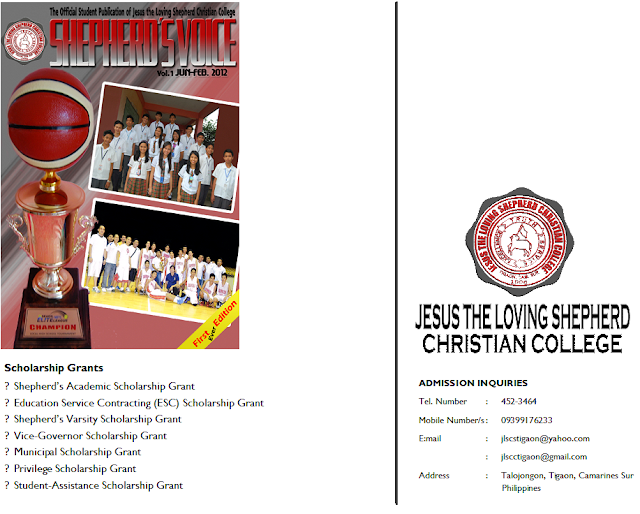 A transformed and empowered graduates equipped with world class skills and attitudes who are God-fearing, responsible, nationalistic, and committed to serve as major facilitators for global development.